No trip to the Aloha State would complete without viewing it on Hawaii helicopter tours. To this end, Panda Travel ® teams with Blue Hawaiian Helicopter Tours for the best possible views. Using state-of- the-art technology, Blue Hawaiian’s helicopters feature 60 square feet of panoramic glass. This offers maximum visibility, enabling you to take in the full spectrum of breathtaking landscapes below. Flights depart multiple times daily with prices and packages tailored for your preferred journey. All helicopters have business-class style seating and air conditioning for maximum comfort. The company films the entire flight and the footage is available for purchase. This will give you memories long after your vacation ends. For a glimpse at what you may see on your flights, browse the island-by-island breakdown below. A vacation paradise, Oahu is Hawaii’s most popular island with countless attractions best highlighted by air. Want to see up close the treacherous waves of the North Shore but don’t have the ability to surf them? If so, Blue Hawaiian Helicopter tours will take you right over them. You can even fly over Waimea Bay and the crystal clear cove of Hanauma Bay. Here, you can visually plumb the depths over coral reef and the abundant marine life below. There are even flights over Pearl Harbor. They may be the only way for you to experience what December 7, 1941 must have been like. World War II buffs will appreciate the same views that fighter pilots had of this famous location. You will even get a close look at the USS Arizona Memorial from above the harbor. The flights also offer aerial views of Diamond Head, Waikiki Beach, Downtown Honolulu and the Ko Olina’s resorts. Oahu is a picture-perfect holiday island and there is no better view of it than from above. Fly beyond cliffs where no human has ever set foot and where the mountains and clouds meet. Glide over the clearest waters and reefs below at Haena Beach. Take in the hidden beaches of Honopu Arch, the jagged Na Pali Coast and Kilauea Lighthouse. 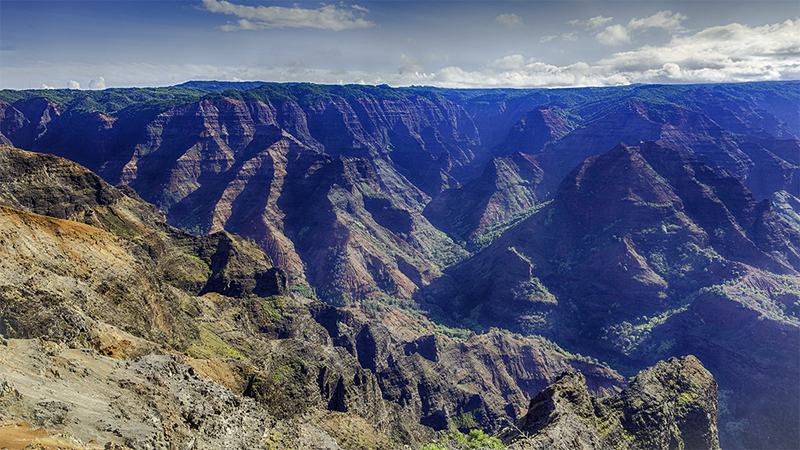 Travel though the movie tour over Jurassic Waterfall and weave through Waimea Canyon. You’ll be on the same path where Hollywood film crews have captured shots. Your journey through the canyon ends with a stunning waterfall. You would be remiss not seeing Kauai over its highest mountain tops and deep blue ocean. This is a must for anyone with an insatiable desire to see Hawaii’s most pristine landscapes. Viewing volcanic lava first hand is something many can only imagine. On the Big Island, it is not only possible, but is readily available. Here, you can experience the frightening and unfathomable beauty of orange lava changing the shape of the island. You can truly experience a once-in-a-lifetime moment by flying feet above the Pu’u O’o volcanic vent. Watch molten magma as it races in red streaks, hiss when it oozes out of the mountain side, then steams into the ocean. No other adventure will take you this close to an active volcano. From mountains to volcanoes and colorful beaches, this is an ideal place to see from above. On the Big Island’s helicopter tours, you can tower over the lush taro patches in Waipio Valley. Soar over volcanic ash. Or brush up against graceful waterfalls crashing into the Kohala Coast. 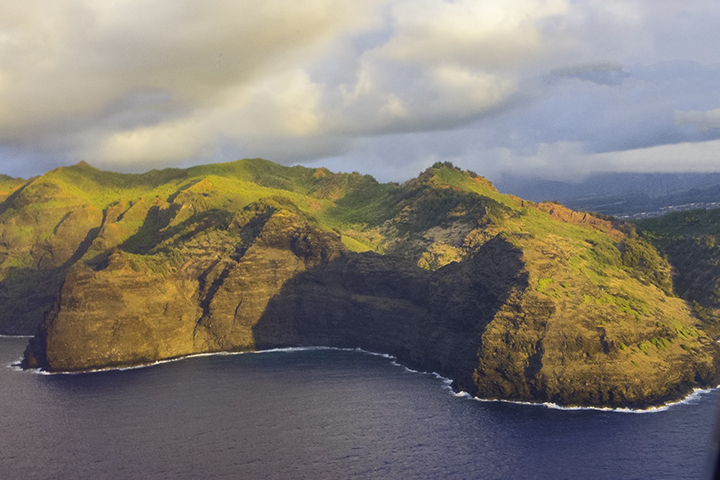 As far as Hawaii helicopter tours go, the Big Island might be the most extraordinary yet. When you take the Maui flight, you will see more waterfalls than you can imagine. Many tourists find Maui to be an island of unparalleled romance and intrigue. This is never more keenly felt than when you experience its landscapes and seascapes from the sky. Gliding above Kopiliua Stream, you can lose count of all the beautiful falls, inlets and idyllic pools. For a truly spectacular experience, fly to Manawainui Falls. Here, you can watch the thick tree line lean over great green cliffs towering over the sea. Ascend up emerald walls streaked with the longest white falls you can imagine. Then soar just above the staggering edges where water cascades down the precipice. Whether venturing above Iao Valley, soar above Haleakala Crater or gaze at Paia’s beaches, Maui will become your favorite island. 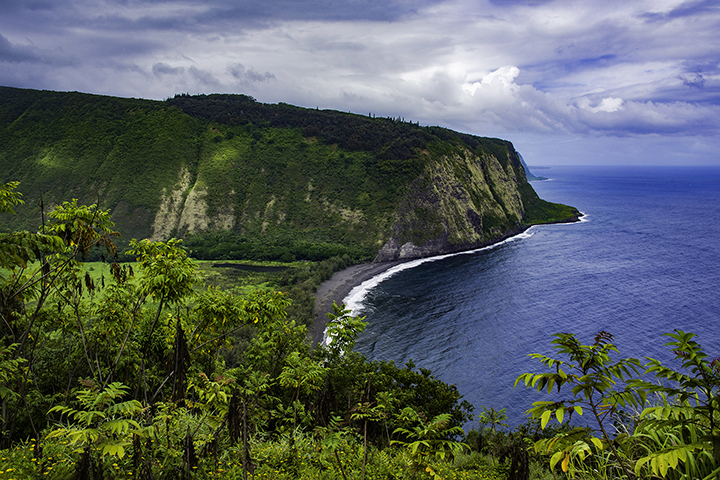 Hover above the Hana Highway’s winding roads between forest splendor. Soar up into the wild mountains above the Olowalu Valley. Drop into historic Lahaina or glide along the Ka’anapali coast. 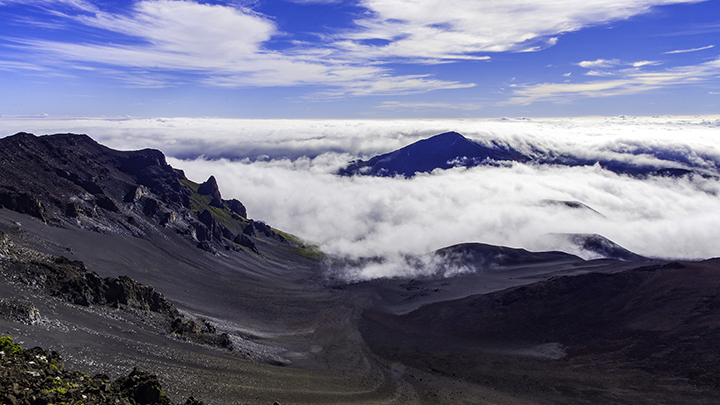 Your vacation would not be the same without the stunning views you witnesses from Maui’s sky. On Panda ® Online you can book Hawaii helicopter tours along with flights, hotels, rental car and activity packages. We have been in the business over 35 years and are eager to help you find the greatest deals for your vacation. For more ideas to help you prepare for your visit to Hawaii, review our informative Travel Tips page.